Spooky Arrangement - Website of seatondelongdesigns! 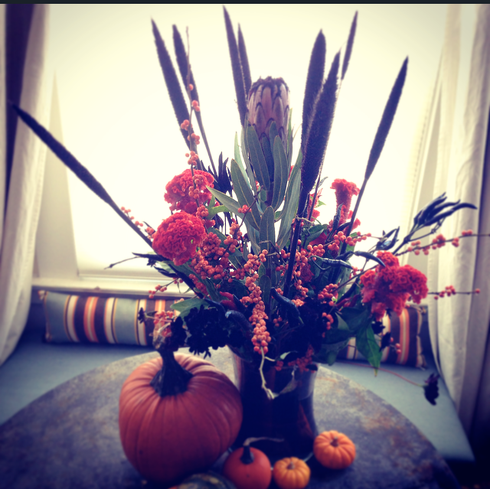 Halloween is approaching and we wanted to make an arrangement using all the interesting flowers we come across on our weekly trip to the flower mart. 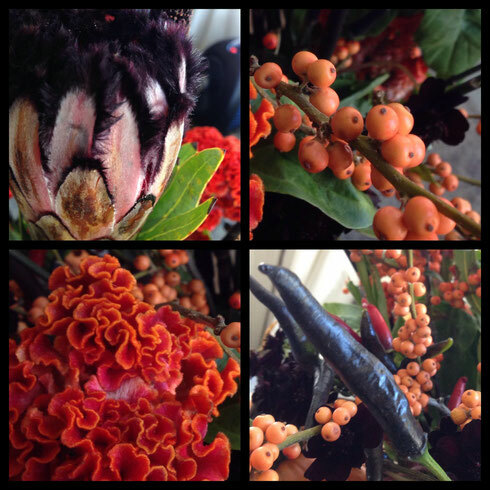 Our spooky elements include: (Clockwise from top left) The feather like texture on this flower reminds us of the hair on a tarantula. The berries look like deadly fruit or tiny pumpkins. The soft orange plant looks like it resembles brain matter. And then we have some black peppers.